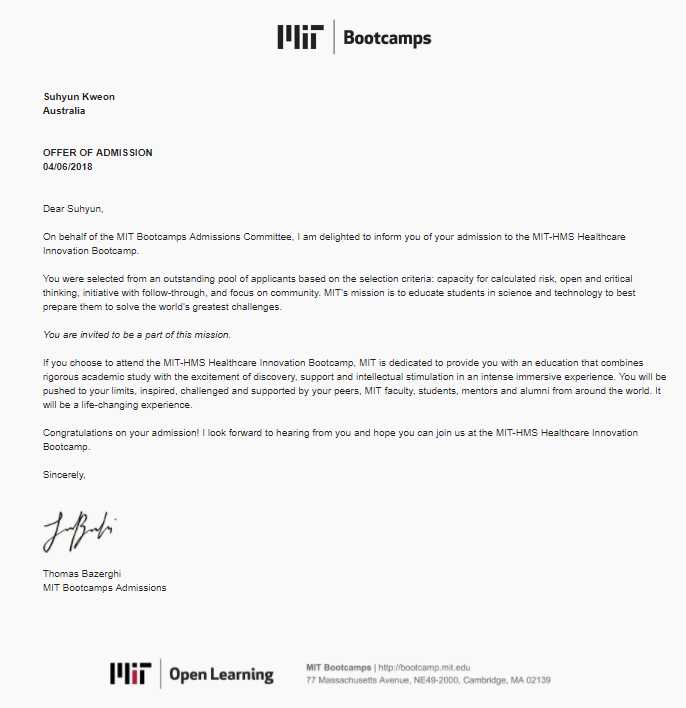 I have recently received an admission offer to the Healthcare Innovation Bootcamp hosted by MIT and Harvard Medical School. This program will provide a comprehensive toolkit for healthcare innovation and enable me to meet healthcare leaders from more than 49 countries. As an individual who believes that everything is all intrinsically related to one another, this is a life-changing opportunity to learn how healthcare policy makers, researchers and innovators can work as a team to tackle a new emerging health threat. I firmly believe that health is not simply the absence of disease, but a complete state of physical, mental, and social well-being. Therefore, my dream was, and still is, to commit myself to peoples' health, in every sense of the word. This goal was integral to me when I first moved to Australia – having a mission to actively strive towards helped me to also conquer many social, cultural, and personal challenges during a time when there were abundant barriers in my life. Before I move to Australia nine years ago, I attended school in South Korea. One of the most influential lessons that I learned during this time was when I was just twelve years old and my teacher told us that, while we were all very privileged to be receiving an education, there are many people who will not use this privilege to contribute back to the society that helped them. Instead, many people will attempt to ensure their own success without thinking about their duty to the underprivileged sectors of society. This lesson resonated with me and planted the seed that would culminate in my life’s mission - from that moment, I promised myself to the world and promised to be a person that would generate an impressive impact in whatever ways I could. I moved to Australia in 2009 and, since then, I have faced many difficulties that have forced me to the edge. I lost my individuality and many friends during those first four years and the anxiety and pressure during such times made life incredibly difficult. My parents undertook huge risks when they moved my brother and I to Australia and their ultimate intentions were to show us a bigger and better world with more opportunities than our home country could have afforded us. Because of this, I want to prove to them that they made the right decision and that the hardships were worth it – for all of us. They encouraged me that one day all these experiences will help me to understand others’ pain. While this major life transition during such a defining age was difficult, I know it has made me into a stronger, more competent adult. It has taught me how to start from scratch and work hard for what I want. I also think that it has engrained in me a perseverance that outshines others who may not have had to undergo such trials. And, while it was only when I entered university that I started to slowly discover who I am, I think it has made me even more confident in myself and appreciative of my character. Upon first moving to Australia, I was labelled as a quiet and shy person although this was simply because I did not know the language and did not have the courage to speak with others in a foreign tongue. I really wished to be myself again – a person who just wants to bring joy to others through her creativity and involvement. Thankfully, over the past few years, I have worked tirelessly to build my skills, in every aspect of my life, and uncover the identity that was stifled for so many years. And now, everything is building momentum. I simply wish to learn and to be able to help others in my own capacity through this path of learning. Throughout my journey, I have received a tremendous amount of support and care that, if it was not available to me when I needed it most, I would not be where I am and have accomplished as much as I have. 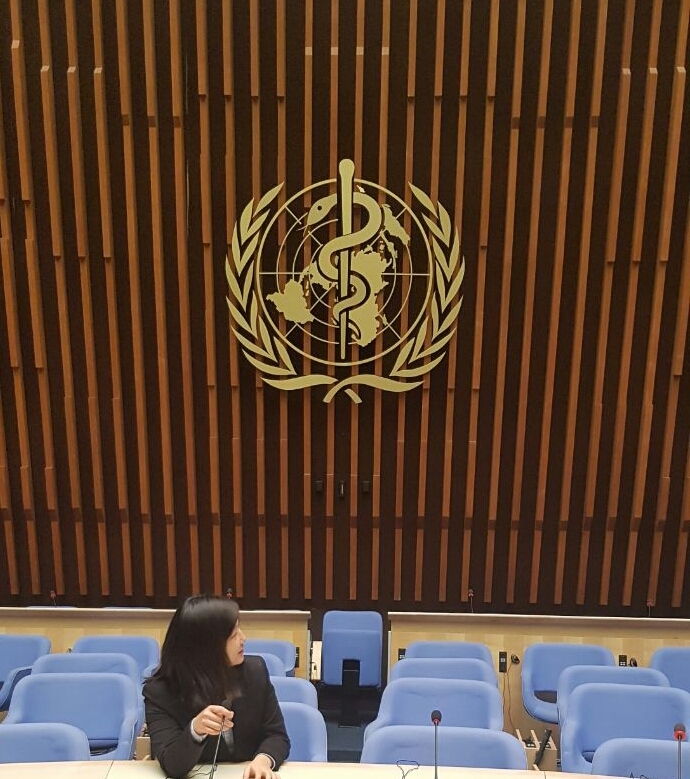 Most recently, I was very fortunate to obtain internship with World Health Organization (WHO) Headquarter and while there I was nominated Vice President of the WHO Intern Board as I had leadership experience gained through Golden Key International Honor Society for two years. I therefore feel that it is my duty to pay this kindness and support forward and be a catalyst for others on their paths to improvement. I believe that financial hurdles should not limit how much one can improve as a person and be able to give back in return. 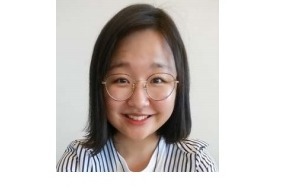 I chose optometry because I wanted to be a primary health care provider who has an important role in promoting, preventing any preventable diseases. However, now it is very clear to me that one should expand the scope of practice within Optometry and other primary care professions to meet present unmet needs and the new and rising demands that population ageing is already creating. I encountered many elderly patients from the clinic and they often had complex, interacting, chronic medical and social problems. The best lesson I had learnt from the WHO is that we should never neglect anyone in our society and make sure that everyone is in the same line. Dementia is a new global health threat where more than 47 million people live with dementia and number of people with dementia is rising, and the number will triple by 2050. Unfortunately, the majority of people who will develop dementia will be in low- and middle-income countries, who are least prepared for this public health threat. There are many promising research around using eyes as early biomarkers for neurodegenerative diseases and I envision that one-day primary care professionals will enable to screen and diagnose people living with dementia. Therefore, I wish to do a PhD clinical neuroscience in UK who are developing ways of accurately measuring neurological disorders by precisely measure abnormalities of eye movement and its control. I wish to learn skills and share knowledge to optometrists and other primary care professionals as dementia healthcare systems are highly specialized with little formal recognition of the role of primary care services. As the numbers of people affected and demand for services increase, it is impossible to fully cover people with dementia with this specialist care model. According to Alzheimer Disease International, the total estimated costs of dementia will become a trillion dollar disease by 2018. This is the area I am truly passionate about, and now I have no doubt in myself. We must make sure that everyone has the right to the health care they need, irrespective of age, ethnicity, geographic and economic backgrounds. I must not let my Optometry degree limit my holistic view of this world. This program will enable me to expand my knowledge so in future I can be a researcher/ clinician and possibly a healthcare policy maker to meet the needs of people with dementia and their families. Currently, healthcare systems struggle to provide adequate coverage of diagnostic services, and care is often very fragmented and uncoordinated. For those who are hesitant to pursue their dreams, I wish them to be brave. It can be a very scary thing to invest everything in order to follow your passions. While we each know ourselves best and what we are capable of, sometimes outside assistance is necessary to give us that little push that we all sometimes require, whether it be as personal support or monetary assistance. I really wish to make my dream a reality and I wish to say good luck to everyone who is facing their hurdles to follow their dreams.